Betties—you know the type! And if you're sitting up straight, legs crossed at the ankles, you're probably one yourself. These can-do types love whipping life's little problems as much as they adore beating egg whites. They place a high value on neatness, punctuality, and stylish but low-heeled flats. Now, The Betty Book brings bettitude right into your very own home. Anyone can learn to embrace the joys of shoe racks, nonabrasive cleansers, and toast tongs, and to avoid un-betty-like activities like belching and trips to Vegas. 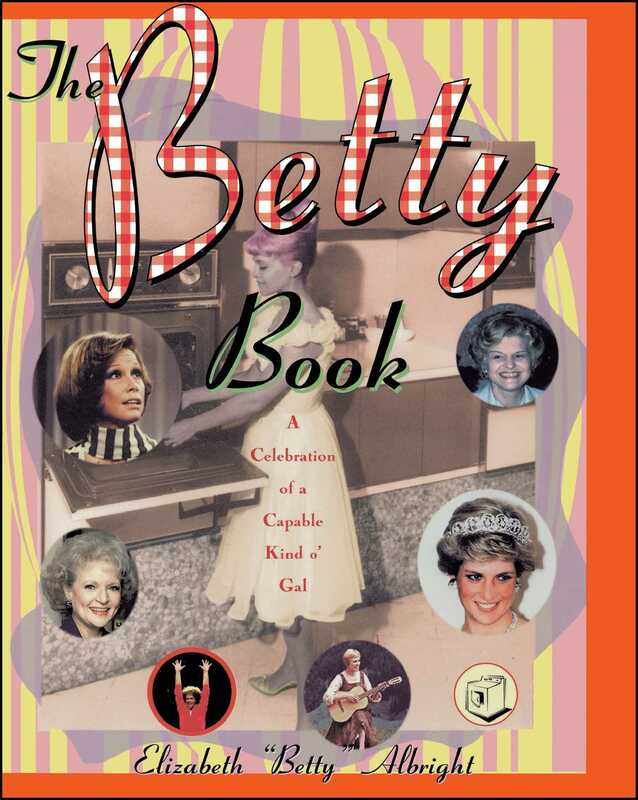 Carefully organized so that you won't have to dog-ear any of its pages, The Betty Book features bevy of famous betties, from Betty Crocker to Betty Rubble to Betty White, classic betties with other names (Martha Stewart), betties who have strayed (Princess Di), and antibetties (Courtney Love). Betty hobbies (writing thank-you's), betty sports (synchronized swimming), betty foods (fondue, apple brown betty?recipe included), and betty words (spice rack, cardigan). Betty pop quizzes, games, horoscopes, and even a betty novelette! Elizabeth Betty Albright is a really big betty who lives in suburban New Jersey, a hotbed of bettiness.